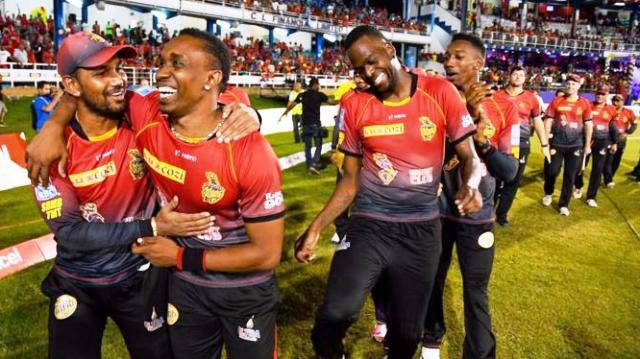 It will be a Do or Die match for the Trinbago Knight Riders when they take on the St Kitts and Nevis Patriots at the Brian Lara Stadium at 8pm tonight. TKR lost their last fixture with the Guyana Amazon Warriors, who were sent straight into Sunday’s final. But TKR will have another opportunity to play the Patriots tonight in ‘Qualifier 2’ to book a spot with the Warriors in the final. The Patriots of course won the eliminator against the Jamaica Tallawahs on Wednesday, which gave them the opportunity to play TKR for that final spot. Meanwhile TTCB member Manohar Ramsaran spoke to 103.1FM’s Sportsline, saying the Trinbago Knight Riders have been training hard and are going to take today’s game seriously. He says the pitch is not going to determine the winner, and it’ll be a tough decision for the captain who wins the toss tonight. Mr. Ramsaran says he watched the team practice yesterday, and is confident in the team’s ability to beat the St Kitts and Nevis Patriots tonight. He had special praise for two particular players.